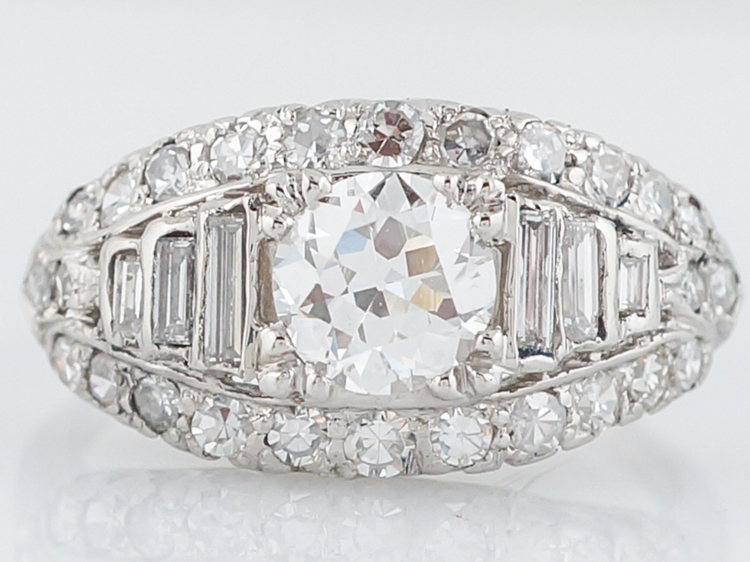 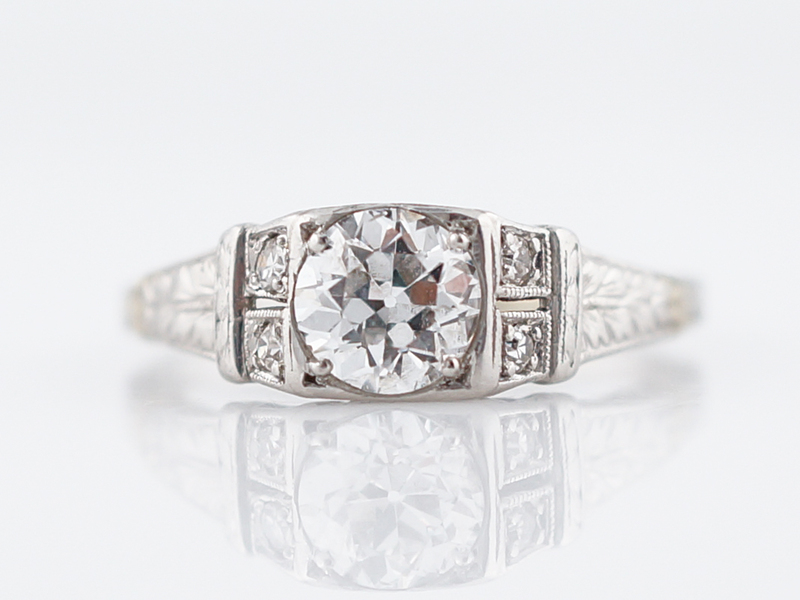 This modern engagement ring is simple, sleek and classic. 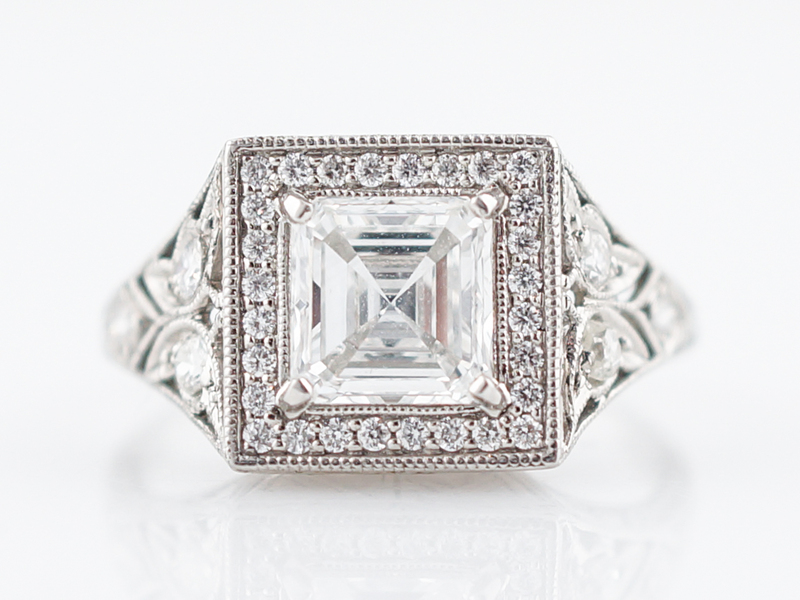 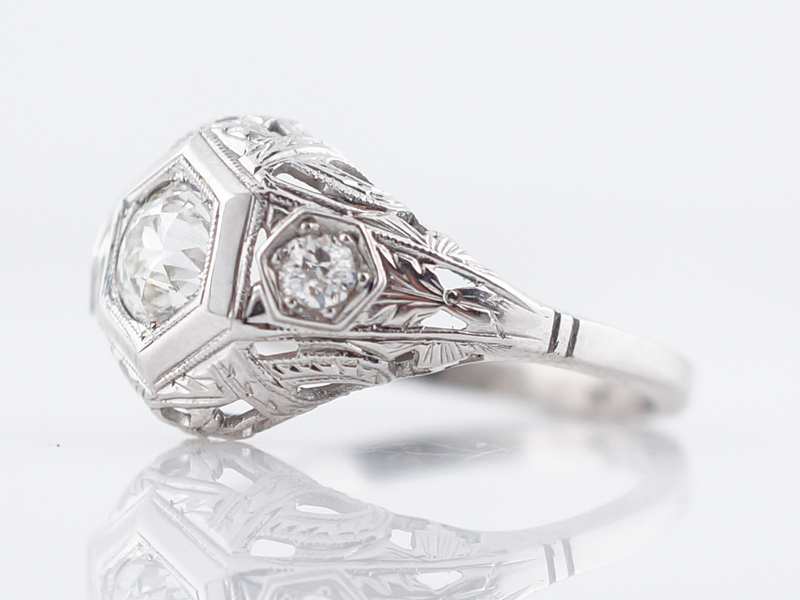 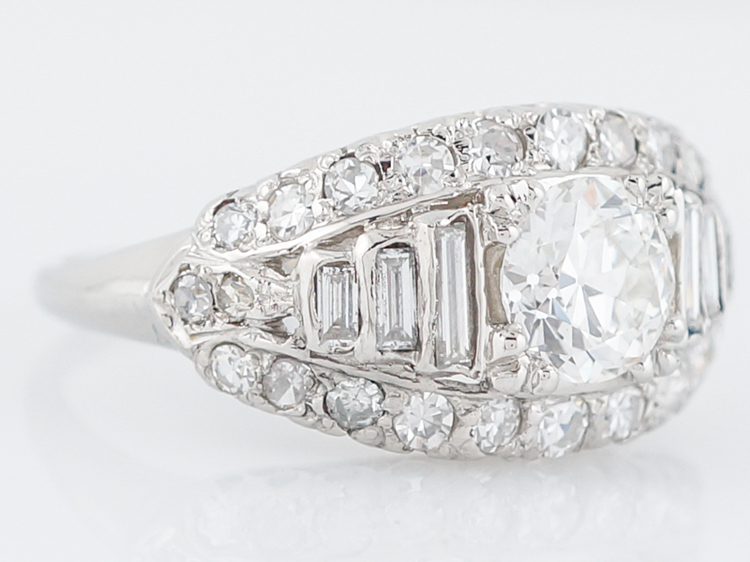 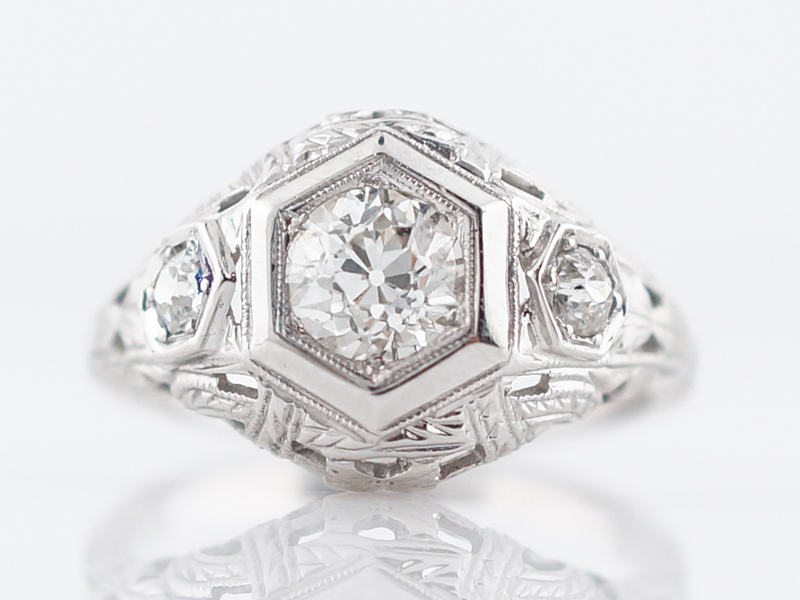 At the center is a brilliant 1.41 carat old mine cut diamond elegantly set with four (4) prongs. 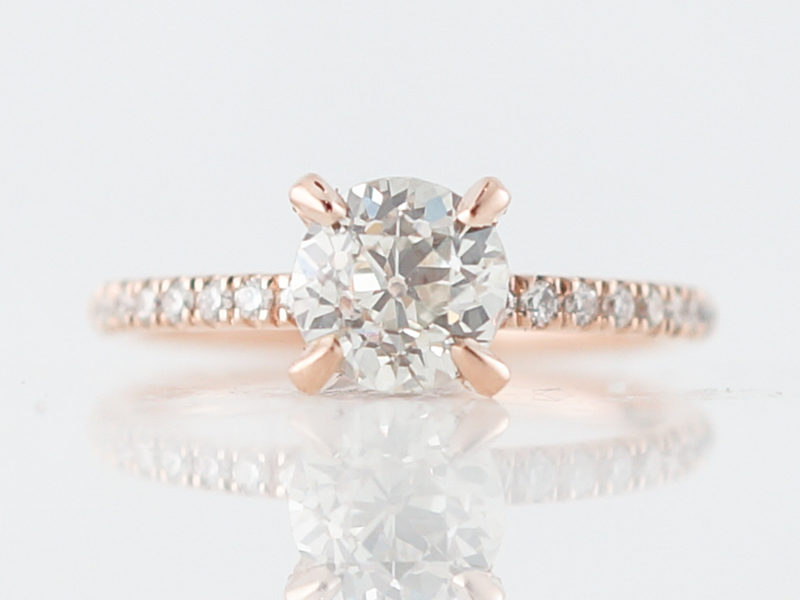 The 14k rose gold adds a special touch and the additional sixteen (16) diamonds which are also mine cut embellish the shoulders offering an added taste of dazzling sparkle to set off the center stone beautifully.